If you need to have a tooth extraction, it’s smart to know what to expect to ensure a painless and proper recovery. Look through this handy guide to help you get through the procedure. While the idea of pulling teeth may sound painful, the procedure itself is painless because you are given an anesthetic before it begins. After a tooth extraction, the area may feel tender for the first few days, but it is typically mild discomfort that will reduce as your recover. To get toothache relief during this time, your dentist will provide you with aftercare instructions to speed healing and reduce pain. Over-the-counter pain relievers are often the best way to ease discomfort, but your dentist may prescribe something stronger. 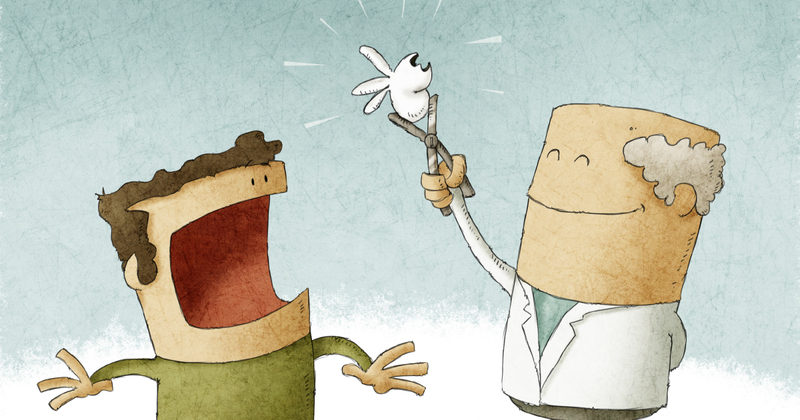 Remember, do not take aspirin after a tooth extraction since it may cause additional bleeding. Relax at home for a few days after the tooth extraction and limit all exercise. 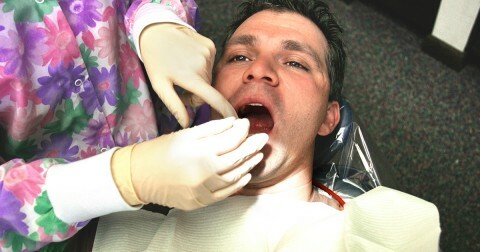 Avoid rinsing your mouth or spitting for 24 hours after the procedure. After this 24-hour period has passed, rinse your mouth out with warm salt water about four times a day for a week to keep the area clean and reduce the risk of infection. Do not use a straw when drinking, but rather take small sips from a glass. Eat only soft foods for the first few days, but add in solid foods as you heal. Prop up your head up while lying down to decrease bleeding. After pulling teeth, it’s completely normal to require medication for toothache relief for about a week, but the pain should lessen every day. Yet it takes two or three weeks for the site to safely heal, and up to six months for the bone to settle in place. If you experience severe pain at any time after a tooth extraction, contact your dentist immediately since this may be a sign of a complication that requires urgent care.